Safe, environmentally friendly, failure-free and economical are the requirements for operation in power generation. To make a contribution to this is also an original objective and at the same time a claim of power plant chemistry. 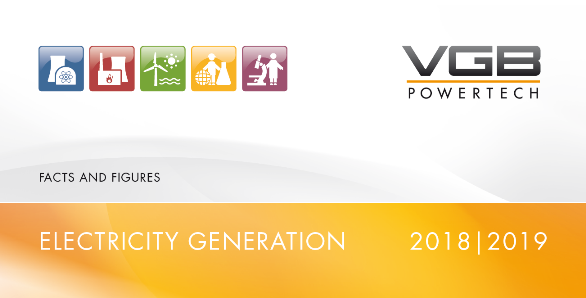 Power plant chemistry is one of the roots of the VGB. 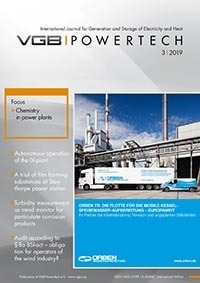 About 100 years ago, investigations to clarify corrosion phenomena – the interplay between medium and material – and cases of considerable steam generator corrosion led to the founding of the “Feed Water Committee”, the nucleus of today’s VGB PowerTech. The first steps of power plant chemistry on the way through the decades of technical developments were the development of technologies for the production of extremely low-salt feed water. With a leap over the decades, the replacement of evaporator plants by ion exchange technology and the introduction of condensate cleaning systems were milestones in the development of safe and reliable power plant operation. Today, membrane technologies are at the forefront, with the claim of a “wastewater-free” power plant. The conditioning of water-steam circuits to form stable protective layers and prevent corrosion led from the neutral to the alkaline to the initially controversial and operating mode with oxygen dosing. Conditioning is more than ever a topic of current importance. Chemical developments in power generation seemed to have been completed in the mid-1970s. The role was strongly limited to analytics. With the retrofitting of conventional power plants with flue gas cleaning systems, new challenging tasks arose. Fossil-fired plants became “chemical factories”. Further tasks in the course of environmentally friendly power generation followed. Chemistry played a role in all these challenges and the current VGB conference “Chemistry in Power Plants” – the main topic of this issue – showed in impressive lectures that the topic of chemistry in power generation is far from being exhausted. It is not only a matter of optimising the existing, but also of providing great potentials for new processes through innovation, i.e. new things, and this also or especially in times in which digitalisation seems to be the philosopher’s stone. New challenges in electricity generation, both conventional and renewable, can thus be mastered. Chemistry is therefore not only a topic of the “power plant”, it is a topic of the power industry. This is also reflected in the work of the VGB, in its committees and in the services of the VGB. Materials, the interaction of material and environment are not only topics of water chemistry. It is also a topic of renewables, because ultimately all materials can be traced back to the topic of chemistry. In many areas, chemistry also determines the technical environment of individual plant components, for example in connection with lubricants and oil. In the coupling of chemistry, materials and oil laboratories and their significance for the industry, VGB therefore covers such requirements with extended services. In the expert committees of the VGB, the work “on site”, the exchange of experience takes place, i.e. also today and certainly in the future an important component of know-how transfer and innovation. In times of digitalization and almost infinite possibilities to retrieve “knowledge” from the worldwide Internet, it is ultimately the implementation by qualified employees that applies locally in the plants. This requires more than just information research in a network that provides an answer to any question. The exchange of experience and knowledge, whether on-site or via web conference as a digital tool, is and remains a lived “win-win situation” in the VGB. The developments in energy technology are not complete, new challenges for chemistry are evident. Worldwide, these continue to include increasing demands for environmentally friendly conventional power generation, also based on fossil fuels. In Europe and Germany, with ambitious targets for further expansion of renewable generation, further challenges are opening up, for example composite materials in the use of wind energy. Storage is also a core topic for chemistry. New chemical storage or battery storage concepts are inconceivable without a contribution from chemistry. And when Power-to-X comes into play, chemistry again comes first. Where these developments will lead, we can neither predict nor foresee today. The path seems to be a goal, but for chemistry it means challenges and commitment.